The phone's screen should change to indicate that it is updating its config, and will then register if successful. NOTE: You can use the Yealink Generic phone type for provisioning a single extension to Yealink DECT Wireless phones W52P & W56P, additional extensions must be manually added. NOTE: Yealink T27 models the DND Softkey remains visible on the phone, but it is disabled so pressing it will not activate DND mode. Upload the WebItemsLevel.cfg file to the TFTP Files section found in PBX Setup -> Services this is the file that sets level access to every option and setting on the Yealink phones.I already set this one to lock out every setting that could alter the phones operation in any way, however feel free to edit it as needed. Upload the WebItemsLevel.cfg file to the TFTP Files section found in PBX Setup -> Services this is the file that sets level access to every option and setting on the Yealink phones. I already set this one to lock out every setting that could alter the phones operation using the phone menu in any way, however feel free to edit it as needed. Turning on the user access levels activates a third login "var" we recommend to just set the password for var to be the same as the admin password. Save and Apply Changes, then reboot the phones to download the new configuration. The numbers after each line entry define the user level needed to access that particular setting/feature. The settings that relate to accessing settings/features by using the Menu in the phone are found under the [GUI] section. Be sure to save and Apply Changes, then reboot the phone. When transferring or parking a call, the "End Call" softkey does NOT complete the operation. It cancels it. In this case, it leaves the call on hold instead of moving it where it was intended to go. Complete the transfer with the "Transfer" softkey instead. This is useful if you frequently transfer calls to the same number. System speed dials can be found under PBX Setup=>Feature Codes, at the bottom of the page. Manual – Navigate to Destinations -> Extensions -> Edit Extension -> Advanced and enter the MAC address of the phone into the “Phone MAC:” field. SAVE CHANGES then APPLY CHANGES. 1. Select the extension you would like to assign to the Yealink phone(s) from the drop down list. 2. Check the box next to each Yealink phone you are assigning. 3. Click the Assign button. 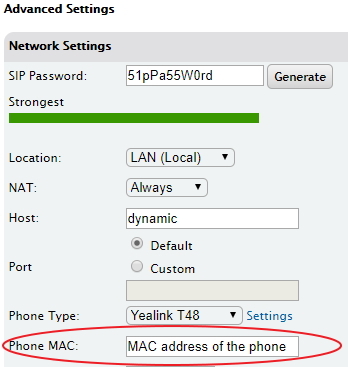 This will automate the process of entering the Yealink phone’s MAC address into each extensions Phone MAC field in it’s advanced settings section. ►Yealink phones shown in the Auto Discovery section will not show up colored green even though they may well be assigned and using the PBX. The coloring is merely cosmetic and will not affect the operation of the phone. Once the phones are assigned to extensions they can now be provisioned, either manually or if the phones are on the same LAN as the PBX the Quick Setup utility can be used. When configuring the Park key manually, set the type to DTMF, and the value to ##700#. When configuring the Day/Night key manually, set the type to BLF and the value to ff. Under the DSS key tab is a link for Line Keys. Be sure to set the Line Keys to Account 1 if you want them to function as a line key, otherwise you can configure them just like any other programmable key. 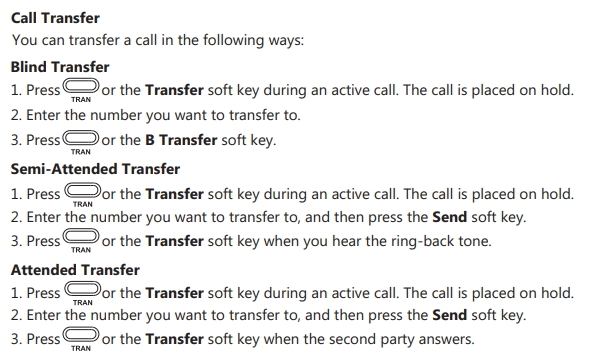 Use a prefix key on the Yealink phones to handle blind transfers directly to a BLF extensions voicemail. EXP20 Expansion module for Yealink T2 Series phones - Key #1 AND Key #21 must be left blank in order for the Page Switch to work properly. to the Yealink Phone Configuration Template found in PBX Setup -> Phone Global. (add the line to the "Options found in the MAC config" section) Save and Apply settings then reboot the phones. Populate the Listening Address field with the mutlicast IP of the multicast group built in the PBX, followed by a colon and the port configured for the group. Click the Confirm key and your settings will be saved, allowing the phone to receive multicast pages. A dealer has brought to our attention this link to a Yealink forum that has a firmware for multicast. 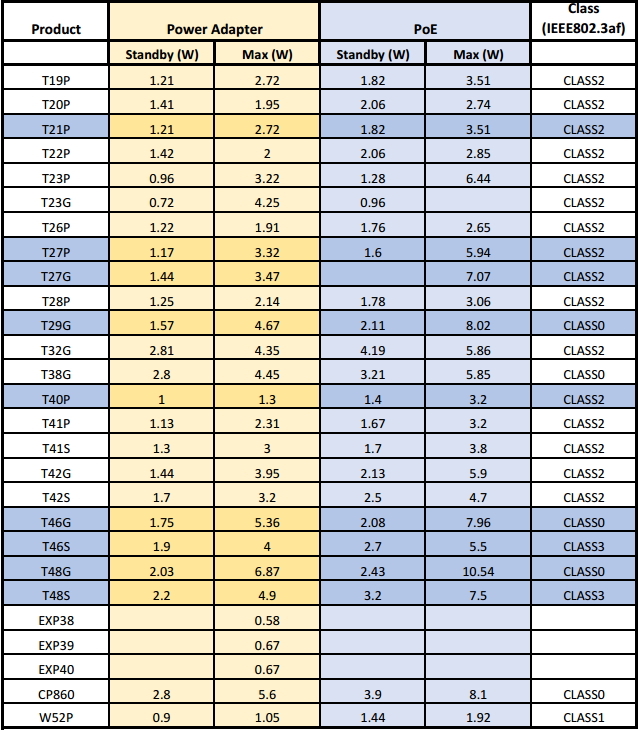 I know in our testing, the .143 version had the settings needed. But its possible you may need this version as that is what the dealer needed, so we are linking to the information. Also when we set the default user level to "user", pressing and holding the OK button for 5 seconds to return the phone to factory defaults will no longer work since that is an admin level function. Yealink phones use a specific XML format for phonebook files. In Yealink V81 and greater firmware version, the phones support a feature called EDK (Enhanced DSS Keys) that can be used to program advanced dial strings. T38G firmware version fixes an issue with Parked calls bonding with other calls incorrectly. Extract the .rom from the Zip folder and load it into the phone. The T29 guide covers basic usage of the entire T2 series of Yealink phones. The T48 guide covers basic usage of the entire T4 series of Yealink phones. This is useful if you frequently transfer calls to the same number. System speed dials can be found under PBX Setup=>Feature Codes, at the bottom of the page.